Enjoying the 7th night of Hanukkah, Deadstein had a pretty good night of music, for the typical first half of the evening. 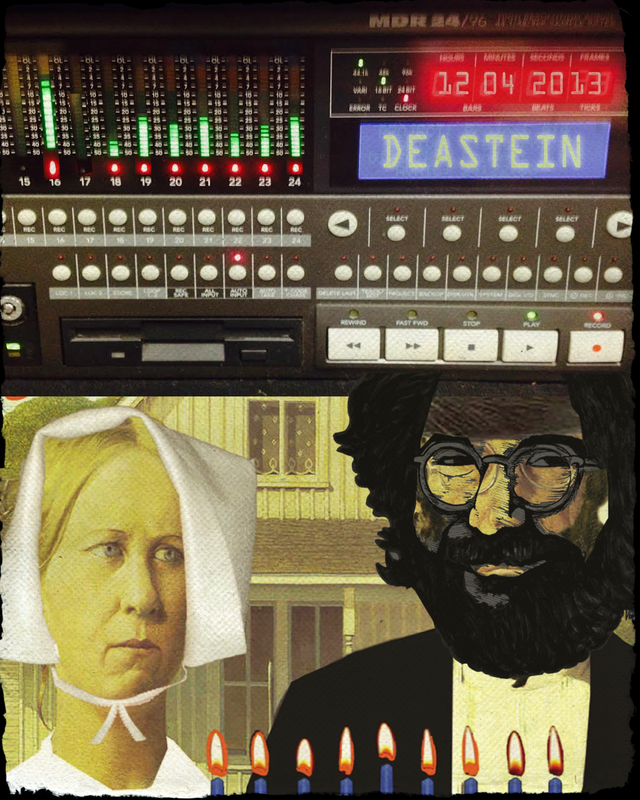 The recordings have a very weird texture to them as I added live Grateful Dead audience to the background of the music and adjusted the audience’s exuberance as would be expected if it was the Grateful Dead playing as opposed to Deadstein. In any case, it is an exciting sound for all of us to dream about. By the end of the night, to keep thing interesting Kevin and I decided to switch instruments and we headed into a long Dark Star / Other One type of jam. I was a real challenge to me, but it presented new opportunities for the both of us at a time of the night where we needed them. To close, our rendition of Cry Baby Cry was pretty whirly. Freak Out.